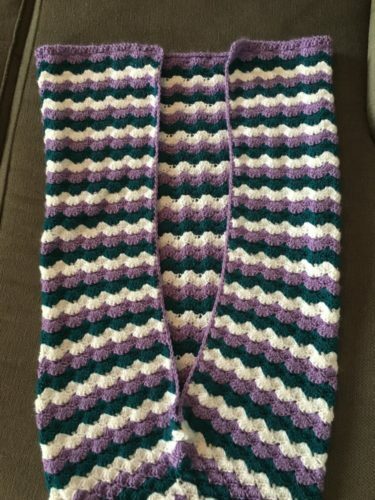 This blanket has already been made and is ready for sale. It has been crocheted by hand in a smoke and pet free home. 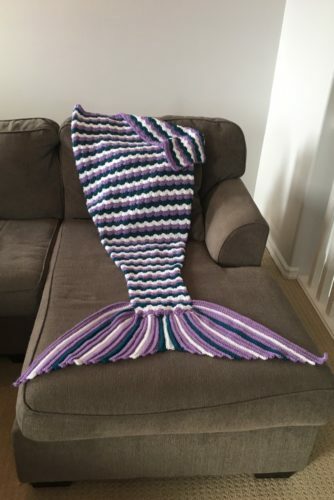 The pictures posted are of the exact blanket that is for sale. It is sized to fit a child aged 8 years and up to a teen or shorter adult from the bottom of their feet up to their shoulders. It could also be a lap blanket for anyone who is taller. It measures 54 inches from the top to the closure at the feet and measures 72 inches in total length including the tail fin. This blanket is made to wrap around the lower legs and ankles and is closed at the bottom to keep feet and toes warm. The blanket opens at the back of the knees and flares open toward the top. The yarn I used is soft to touch and not itchy against the skin. If you have any questions or need any further information, please contact me. 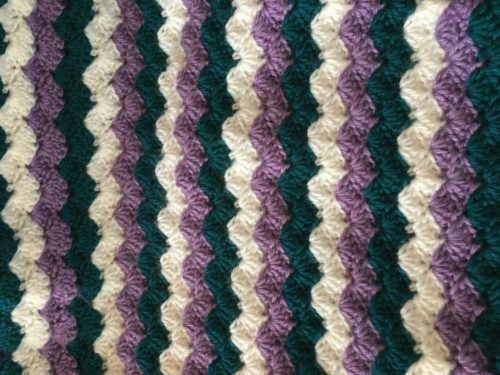 I can make this blanket as a custom order if you would like in larger or smaller sizes and in wide range of colours. Please contact me if you'd like a custom order or a quote. This item can be ordered directly from me and I can either ship it to you at an additional cost or can meet you to deliver it, as long as you are local to my area. 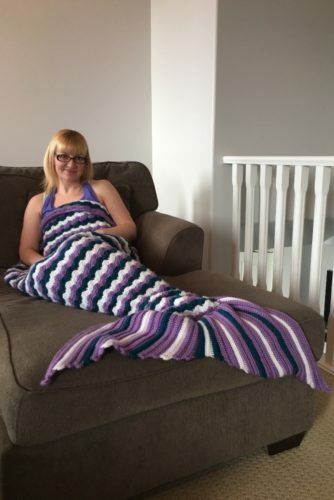 I am a Massage Therapist and a stay at home mom of 2 girls who loves to crochet and make crafts.